Historically, sourdough was the very first ferment used in the production of bread. It comes from a blend of flour and water by spontaneous fermentation (“natural” sourdough) or through fermentation initiated by a starter culture, with or without refreshment. Sourdough contributes to enrichment of the bread’s sensory profile, develops unique flavors and textures. But in addition to the aromatic aspect, sourdough also provides several other benefits: healthy nutritional content, the casing becomes more elastic, more open, with better fluid retention, which delays the phenomenon of “staling” ie the bread aging. 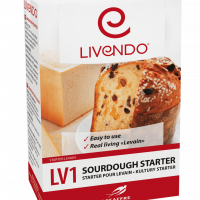 Lesaffre’s sourdough signature, Livendo, is an viable brand that is innovative and appealing to give taste experience to the consumer. 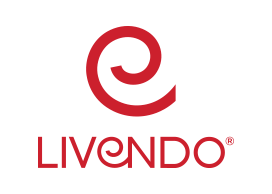 Livendo name reflects sourdoughs full of live and activity. More than taste, more reasons to love it! The search for new flavors and the optimization of bread preservation today reflect the needs of consumers. It’s in this context of culture of taste in breadbaking that the active living sourdough finds it’s right place. 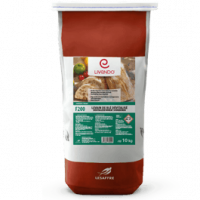 To secure the same sour dough characteristics every time starting sour dough it´s prefer to used sour dough starter, which are under the brand Livendo®. 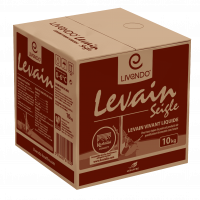 Thanks to the knowledge of microorganisms, fermentation and drying processes, Lesaffre has developed a range of devitalized sourdoughs under the brand Livendo®.